What do you get when you mix sail-making expertise with confectionery skills? for more than 128 years. In 1887, father-and-son sail makers, Henry and Jerome “Rome” Murdick, were commissioned to create canvas awnings for the new Grand Hotel on Mackinac Island. “The Grand” would eventually contribute in a huge way to making the Mackinac region a center of booming tourism. With the Murdicks’ arrival to the island came Mrs. Henry Murdick (Sara) and her exquisite confectionery skills and recipes. In 1887, Mackinac Island’s first candy shop opened as Murdick’s Candy Kitchen. Henry Murdick continued to make sails in the back of the building, while up front, Rome crafted fudge using his mother’s recipe. The renowned marble table gave the fudge a unique texture and also provided a veritable “stage” on which to show visitors how fudge is made. Rome’s oldest son, Gould, soon mastered the skills of fudge making. However, World War I impacted sugar rationing, bringing many fudge businesses to a halt on Mackinac Island. In 1920, Rome and Gould revitalized fudge making and their “show.” They added music and large ceiling fans so the sweet aroma of fudge would waft into the street. Other families opened fudge shops as well during this time, as the temperate climate conditions on the island are conducive to fudge making. But with the Great Depression in 1929, all closed, except Murdick’s Candy Kitchen. 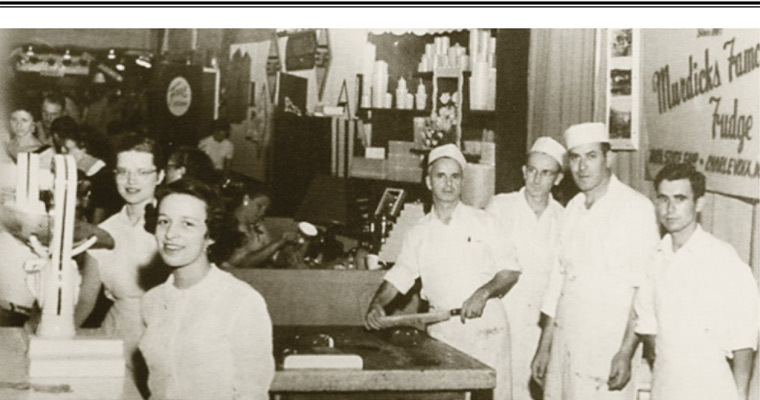 Jerome Murdick, Gould’s half-brother, opened Murdick’s Luncheonette on the island in 1957. When the non-compete clause expired, Jerome began to sell fudge at the luncheonette and eventually converted his business into Murdick’s Candy Kitchen, using the name of his great grandfather’s (Henry Murdick) original shop. Jerome continued the family fudge-making tradition using the original recipe. Each summer, Jerome and his wife, Grace, ran the Main Street business (the couple lived in the back of their shop). Meanwhile, young entrepreneur Bob Benser, Sr. arrived to the island in 1955. Bob built and ran a Tastee Freeze ice cream shop next to Murdick’s Candy Kitchen. Jerome and Grace treated Bob like the son they never had. When Jerome became ill, Bob stepped in to help Grace keep the business open. He learned about how to make fudge, exact cooking and shaping temperatures and the all-important fudge-paddle movements. After leasing and operating the business, Bob Benser, Sr. bought the Murdicks’ business in 1969. The company still follows Sara Murdick’s recipe and the old-fashioned fudge-making techniques that have been passed down through the generations. Original Murdick’s Fudge has expanded to other locations on Mackinac Island as well as in Mackinaw City and St. Ignace, Michigan, in addition to three stores and a bakery in Martha’s Vineyard, Massachusetts. Bob Benser, Sr. and Bob Benser, Jr. continue that tradition today along with the entire Benser family. Through the generations, Murdick’s Fudge on Mackinac Island has been recognized as an iconic Michigan favorite. 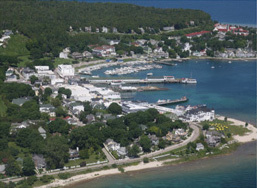 Covering 3.8 square miles, Mackinac Island is located in Lake Huron at the eastern end of the Straits of Mackinac, between Michigan’s Lower and Upper Peninsula. 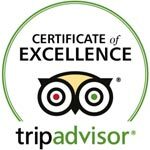 It is only accessible by ferry or plane. • The island was home to Native American settlements before European exploration began in the 1600s. It also was a key site for the Great Lakes Fur Trade and was home to Fort Mackinac, built by the British during the American Revolutionary War. It was the scene of two battles during the War of 1812. In the late 19th century, the island became a popular tourist destination and summer colony, and that popularity gets stronger by the summer.